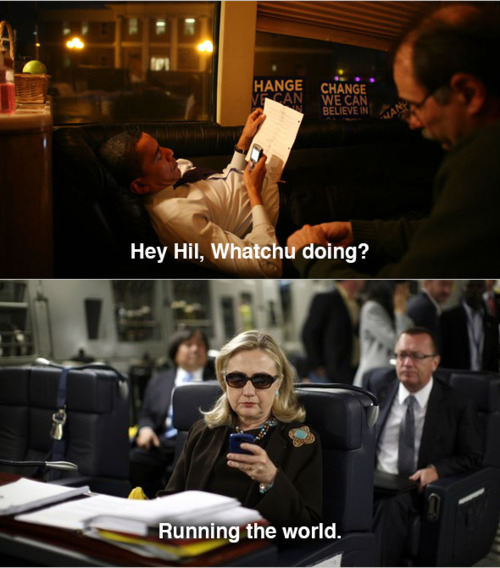 Texts From Hillary Named Tumblr Of The Year By Shorty Awards. This Tumblr has been one of my guilty pleasures over the last year or so. TFH transcended it’s blog origins and became a full-blown meme with everyone submitting TFH’s all over the place. I love that power of social media to spur creativity on. Now, if we could just get that pesky world peace problem solved! This entry was posted in Creativity, Events, Internet, Social Networks and tagged funny, Internet meme, Shorty Awards, Texts from Hillary. Bookmark the permalink.